Just a little post today to tell you about the most marvelous wine book. Well, it is actually much more than a wine book. Almost like an adult fairytale of wine and life; it is informative, inspirational and life-affirming with an underlying moral and peppered with quotes from the wise and wonderful. Wow, that sounds complicated. It isn't though. 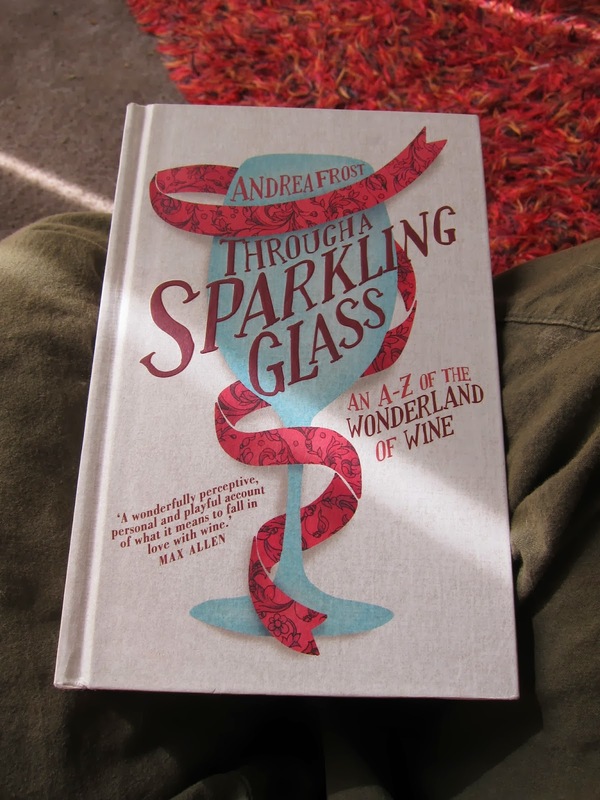 Andrea Frost is pretty much rocking her way through the wine world, having last year won both the Australian Wine Communicator of the Year and Best Wine Publication (with this book). In a country that houses some pretty exceptional wine writers, that is quite an achievement. 'Through a Sparkling Glass' is just delightful. The attention to detail, beautiful font, illustrations and lovely patterned endsheets remind me of childhood storybooks. It is definitely worth shelling out the extra $8 for a physical copy rather than the kindle version. It is a book for everybody- from those that would like to learn a bit about wine through to those that know a lot, and especially for those that know so much they have lost track of the pleasure of wine. My words don't do this book justice. Just go and buy yourself a (hard) copy. I promise you, by the end you will think of wine (and perhaps the world) with more whimsy and magic than you do now (no matter where your jumping off point is). I mentioned a moral before- for me it was that wine is to be enjoyed, marvelled at and explored. All things I know, but when you are as hungry for knowledge as I am and spend free time reading tasting notes and participating in fairly technical industry events, it can be easy to lose sight of the joy. On a deeper level it seems like Andrea spent a bit of time looking for her place in the world which is exactly where I am at the moment. Sometimes books or films or other forms of art appear in your life at the right time and that is what this book did for me.